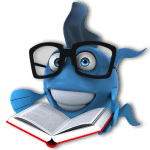 Used by thousands of students at K-12 US public schools, the innovative BrightFish reading platform is being offered to home users worldwide. Find out how Escambia schools raised reading scores by 30% with BrightFish! See how Alexander Graham Bell Public School used BrightFish to improve Reading scores and student engagement in just 12 weeks!